HERE’S WHAT THE GOP HOUSE LEADERSHIP LEFT ON THE TABLE REGARDING RUSSIAN MEDDLING. One year ago, the House Permanent Select Committee on Intelligence (HPSCI) initiated its investigation of Russia’s interference in the 2016 U.S. election and pledged to follow the facts wherever they would lead. With the March 12, 2018 announcement that the Majority will be prematurely shutting down the Russia investigation and issuing a report at odds with the consensus of the Intelligence Community and the overwhelming evidence produced during our own probe, they have broken that commitment. NEWS ON THE GOP ABANDONMENT Click left. The decision to shut down the investigation before key witnesses could be interviewed and vital documentary evidence obtained will prevent us from fully discharging our duty to the House and to the American people. But the Committee Minority will be issuing an interim report that lays out the facts that we know to date and identifies what significant investigative steps remain, especially with respect to the issues of collusion and obstruction of justice. 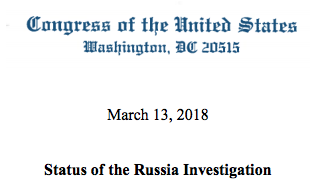 In this document, we will set out the investigative threads that we have been pursuing—and in some cases, been prevented from pursuing—and will need to be completed at a later date to ensure not only that the public is fully informed, but also to determine whether the Russians have leverage over the President of the United States. Following is a partial list of key witnesses that the Committee has yet to contact or interview, as well as document production, requests that the Committee has yet to make from persons and entities of relevance to the investigation. As noted in the appendices following, many of these persons and entities were previously requested by the Minority—some as early as August 2017 and many repeatedly—but have yet to be contacted by, appear before, or produce documents to the Committee. Appendix B outlines more than 30 key witnesses that the Committee has yet to interview. 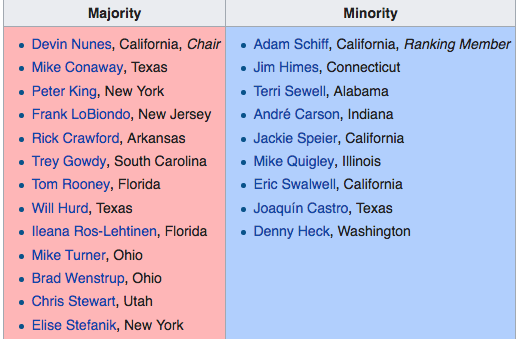 This list, chosen from a broader set of individuals and entities of interest, includes witnesses to whom the Committee has already sent letters, but who so far have failed to respond to the Committee’s request for voluntary cooperation; witnesses that the Minority has previously requested and whom the Majority has not agreed to call in for testimony or to request documents from; and pertinent new witnesses that the Committee has discovered in the course of the investigation. with Alexander Torshin, a close ally of Russian President Putin, such as Maria Butina, Paul Erickson, and Cleta Mitchell; and U.S. government officials and experts focused on election security, such as officials from the Federal Bureau of Investigation (FBI), the National Association of Secretaries of State, the Department of Homeland Security, and key employees from CrowdStrike. Trump administrations, and policy and legislative recommendations to protect the United States moving forward. 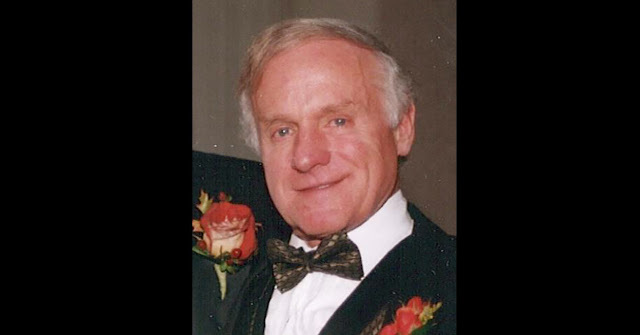 Appendix C identifies more than 20 entities from which the Committee has yet to request documents, including Deutsche Bank, the Estate of Peter Smith (and associated entities), the Russian-American Chamber of Commerce in the USA, and social media companies. These requests relate directly to investigative threads essential to determining the extent of Russia’s election interference and are indispensable to a comprehensive investigation. documentation; or whose production was insufficient and for whom we have a reasonable basis to believe that they possess documents responsive to the Committee’s investigation. 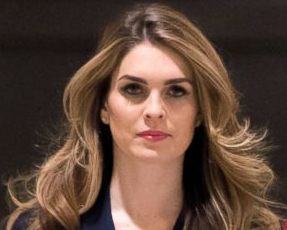 This list includes, among others: Donald Trump Jr., Michael Cohen, Jared Kushner, Hope Hicks, Attorney General Sessions, Erik Prince, and the White House. The Committee must also initiate a contempt process to compel Stephen Bannon to testify to the Committee fully and without constraints. In consideration of the Special Counsel’s ongoing investigative equities, the Committee also has deferred interviewing Michael Flynn, Paul Manafort, Rick Gates, and George Papadopoulos, but these interviews will be essential to a complete understanding of the issues of collusion and obstruction of justice. To conduct a legitimate investigation, the Committee would need to interview these individuals, whether or not they have reached plea agreements or are the subject of criminal indictments. For example, Mr. Flynn specifically informed the Committee via his attorney on June 7, 2017 that he planned to invoke his Fifth Amendment privilege against self-incriminations; the Committee did not demand his appearance, as a result. In light of Mr. Flynn’s guilty plea, the Committee should revisit his appearance and seek to negotiate his testimony. The Committee also ought to interview other individuals who may be of investigative interest to the Special Counsel, reportedly such as George Nader and Simona Mangiante. Open hearings are also an integral component of the Committee’s investigation and have allowed the public to hear from FBI Director James Comey (prior to his termination), former CIA Director John Brennan, former DHS Secretary Jeh Johnson, and senior executives from Facebook, Twitter, and Google about key aspects of Russia’s active measures campaign. Given the repeated warnings from the Intelligence Community and others that the Russians are seeking to reprise their 2016 operation in this year’s midterm elections, the Committee should have held open hearings on election security to clarify the extent of Russia’s intrusion into our election systems, highlight vulnerabilities in our elections infrastructure, and identify the technical and other solutions necessary to protect our country. Conducting a thorough and impartial investigation of these matters has been a challenging undertaking that has been made much more so by the Majority’s concerted efforts, at the behest of the White House, to undermine our work and that of the FBI and Special Counsel. For our part, the HPSCI Democrats remain fully committed to conducting this investigation as originally envisioned, leaving no stone unturned in determining the facts of Russia’s interference in the 2016 U.S. elections and the steps we need to take to ensure the future integrity of our democratic process. The heads of our intelligence agencies have uniformly concluded that Russia will again seek to influence our elections. With the midterm elections now only months away, it is imperative that we develop a comprehensive understanding of Russia’s 2016 covert and overt attack to adequately inform the American people about what happened, and to detect, deter, and counter, to the greatest extent possible, further attempts to influence our political process. --Hacking and dissemination of campaign emails. The Intelligence Community (IC) has made it clear that Russia relied on third-party entities, or “cutouts,” such as WikiLeaks, Guccifer 2.0, and DC Leaks to publicly disseminate with plausible deniability information stolen from the Democratic National Committee (DNC) and the campaign of Hillary Clinton. Our investigation must explore precisely how the Russians executed this cyber operation, and how they communicated with and shared the stolen cache with these cutouts. Outstanding questions include: Did the Trump campaign receive advanced knowledge of or access to stolen information; did the stolen documents inform any of their campaign activity, including voter persuasion and targeting; and what was the chain of custody of the hacked and stolen emails that were then weaponized and strategically released? - -Campaign knowledge of email hack. As the Special Counsel has revealed, weeks before the world learned that Russian actors hacked into the DNC and the Clinton campaign, the Russians, through intermediaries, informed one of candidate Trump’s five named foreign policy advisors, George Papadopoulos, in April 2016 that the Russian government had “dirt” on Hillary Clinton in the form of “thousands of emails.” In evidence before the FISA Court, the DOJ also revealed that the Russians previewed the release of this information to Mr. Papadopoulos at that time. The early date of this contact is significant: even the Clinton campaign was not yet aware that Russia possessed their stolen emails. Several weeks later, in a direct approach by Russia in early June 2016 to the highest levels of the Trump campaign, the Kremlin offered dirt on Hillary Clinton as part of what was described as the Russian government’s “support for Mr. Trump.” The campaign response to the offer was two-fold: that they would “love” the help, particularly as the general election neared, and that they were disappointed with what the Russians provided at the meeting. At this point, several weeks after Russian agents informed Mr. Papadopoulos of their valuable cache, the campaign was on notice that Russia had far more helpful dirt to offer in the form of stolen emails. Days after the Trump Tower meeting, WikiLeaks would announce it had received stolen emails, documents we now know they received from the Russians. --What more did the Russians relay to Mr. Papadopoulos and possibly others; how did they relay it; and with whom on the campaign did Mr. Papadopoulos—who was in frequent contact with numerous high-level Trump associates—share this valuable information? --Were others on or tied to the campaign made aware of Russia’s plan to hack and anonymously release the stolen emails? 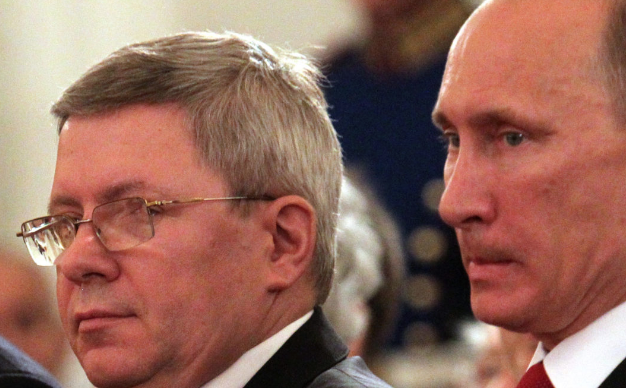 Russia’s intermediaries. As the Committee’s investigation has uncovered, the Russian government used a variety of intermediaries to approach the Trump campaign repeatedly throughout the election and the presidential transition. As a counterintelligence matter, we must investigate crucial unanswered questions, including How were these Russian linked intermediaries tied to President Putin and the Kremlin; were they operating at the Kremlin’s direction or in concert with it; what motivation did they have in probing and communicating with Trump campaign officials; what messages did they convey; what information or impressions did they glean from Trump associates; and how did these approaches inform the Kremlin’s active measures campaign as election day neared? After the election, when the Russian campaign was revealed and the United States sanctioned Russia for its unprecedented attack on our sovereignty, the President-elect’s National Security Advisor-designate, Michael Flynn, with the knowledge of other high ranking transition officials, conspired with Russia to undermine the effect of U.S. sanctions, which were imposed to punish Russia for its intervention on Mr. Trump’s behalf. The Committee must seek to determine the extent of any coordination or collusion with or agreements made between Russian agents and individuals affiliated with the Trump campaign or transition with respect to sanctions relief. Elections security. The Committee has only scratched the surface in examining what the United States must do to protect ourselves and our allies against election interference. To date, we have interviewed only a small number of relevant witnesses and experts, and we have sought very limited data from the U.S. government and outside experts on this issue. As we approach the 2018 mid-term elections, we must fully understand: What specific vulnerabilities to voting systems exist and what remedial measures are needed; how should political parties, campaigns, and candidates secure their communications to defend against cyber-attacks; what measures and protocols should the Federal Government, including our intelligence and law enforcement agencies, adopt; and how can Congress facilitate these steps? Social media campaign. The Committee has shared with the public examples of the Russian government-directed social media campaign that relied on an extensive network of fake accounts and personas posing as Americans. The February 16, 2018 Special Counsel indictment of individuals connected to the Russian Internet Research Agency further underscores the extensive planning, sophistication, organization, and scope of Russia’s exploitation of social media platforms to influence American public opinion during the election. Russia’s campaign amplified and influenced wide swaths of the U.S. electorate and infected public debate, with a clear purpose: to help the Trump campaign, vilify Hillary Clinton, and sow general discord—key points also confirmed in the January 6, 2017, Intelligence Community Assessment. As Facebook, Twitter, and Google acknowledged during their November 1, 2017 testimony before the Committee, more extensive forensic investigation is needed to determine the full extent of Russia’s weaponization of social media. This includes mapping the network of covert personas and accounts that Russia deployed; determining how Russia amplified accounts and propaganda, including through paid advertising; and understanding fully how Russian disinformation spread within and across platforms. To answer these questions, the Committee must develop a more comprehensive picture of what happened on those platforms, but also how Russian disinformation spread to other social media platforms. The Committee also has a responsibility to investigate how Russian disinformation spread to press reporting and public debate; whether and how the presidential campaigns used or were harmed by this covert influence operation; and, where relevant, propose policy and legislative changes that can help guard against future foreign government weaponization of technology platforms. Financial leverage. Donald Trump’s finances historically have been opaque, but there have long been credible allegations as to the use of Trump properties to launder money by Russian oligarchs, criminals, and regime cronies. There also remain critical unanswered questions about the source of President Trump’s personal and corporate financing. For example, Deutsche Bank, which was fined $630 million in 2017 over its involvement in a $10 billion Russian money-laundering scheme, consistently has been the source of financing for President Trump, his businesses, and his family. We have only begun to explore the relationship between President Trump and Deutsche Bank, and between the bank and Russia. Moreover, as the Committee has learned, candidate Trump’s private business was actively negotiating a business deal in Moscow with a sanctioned Russian bank during the election period. We must also seek to determine: Did the Russian government, through business figures close to the Kremlin, seek to court Donald Trump and launder funds through the Trump Organization; and did candidate Trump’s financial exposure via Deutsche Bank or other private loans constitute a point of leverage that Russia may have exploited and may still be using? determine whether Mr. Manafort and Mr. Gates’s money-laundering activities, tied to pro-Russian interests, constituted a point of leverage that Russia sought to benefit from or exploit to gain access to the Trump campaign, particularly given that Mr. Manafort reportedly offered private briefings about the Trump campaign to these contacts. Why did National Security Adviser-designate Michael Flynn intervene with Russia after the Obama Administration imposed new sanctions to punish the country for its election interference, and what specifically did he and his Russian contact discuss? Who directed Mr. Flynn’s intervention, and why did Mr. Flynn and others, including President-elect and then President Trump, lie about this contact? Did President Trump seek to obstruct the FBI’s investigation into Michael Flynn by pressuring FBI Director Comey to drop the investigation, by repeatedly requesting his loyalty, and by firing him? Why did President Trump fire Director Comey—was this because the President wanted to thwart the FBI’s broader investigation into Russian interference in the U.S. election, which Director Comey announced publicly at a hearing before the House Intelligence Committee weeks before? Or because he refused to lift the Russia “cloud” over the President’s head? Why did President Trump and his advisors write a misleading public statement following revelations in the summer of 2017 that his son, Donald Trump Jr., and two other senior campaign advisors attended a June 2016 meeting in which they were promised sensitive information from the Russian government which would be damaging to Hillary Clinton?